A love letter to the theater, The Grand Manner takes a behind-the-curtain peek at the tumultuous lives of stage performers and the fans who love them. 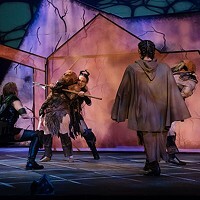 The 2010 play dramatizes A.R. Gurney’s one-time meeting with renowned actress Katharine Cornell backstage in New York after her performance as Cleopatra in Antony and Cleopatra. 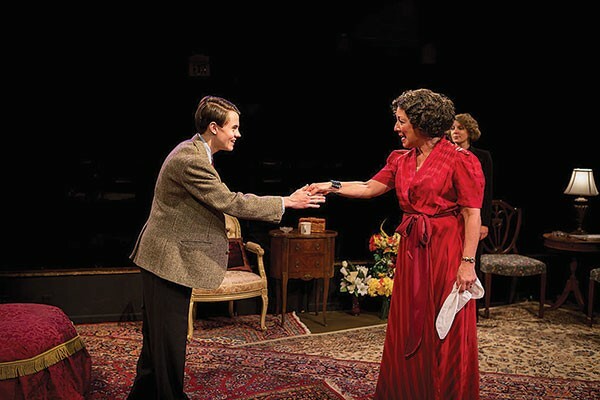 Though Gurney’s real-life encounter with the actress in 1948 lasted mere moments — and included nothing more than an autograph and a few niceties about their shared hometown of Buffalo — the experience left an indelible mark on the burgeoning 18-year-old playwright, and over half a century later, he re-imagined himself as an unlikely confidant to the woman he so ardently admired. An area premiere, The Grand Manner transforms Little Lake’s stage into a green room as Pete, Gurney’s stand-in, awaits a private audience with Cornell. Once she arrives, talk quickly turns to how cinema and television have altered the landscape of entertainment, and now this theater legend must adapt or become a relic of a bygone age. The conversations interweave mid-20th-century pop-culture references (Mary Martin! Brando! The Lunts!) as well as personal tidbits about Cornell’s life that weren’t common knowledge in the all-too-austere time period. 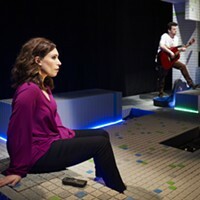 An intimate show like this one fails or triumphs on the skills of the cast, and under the direction of TJ Firneno, the four actors do not disappoint. As Pete, James Curry gives a charming aw-shucks performance that’s full of longing for a glamorous life beyond his strict boarding school. Naturally, Katharine Cornell (Patricia Fuchel) owns the stage, as does Guthrie McClintic (Keith Zagorski), Cornell’s husband and director, who alternates from foul-mouthed and abrasive to philosophical and yearning. Always relegated to the background is Gert Macy (Amy Bonner), Cornell’s no-nonsense assistant, who is passionately devoted to the actress. With no intermission, the story rockets forward at an almost frenetic pace, and Pete, like the audience, is along for the emotional joyride. Before it’s over, there are fights and tears, heartfelt confessions and reconciliations. 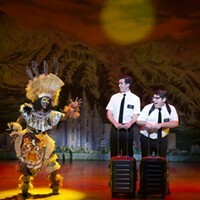 With all the major ingredients of theater, this is a show that most certainly understands and celebrates life on — and off — the stage.